Perceptual audio coding at low bit rates often relies on semi-parametric or parametric techniques to efficiently transmit and restore audio content that, after receiving, may be very different to the original in its waveform, but is perceptually still very close to it. Audio bandwidth extension exploits the limited resolution of the human auditory perception at high frequencies to recreate a spectral high band from the transmitted spectral low band and post-processing parameters, which elicits the sensation of plausible high frequency content that perceptually fuses with the low band into a decent broadband audio perception. 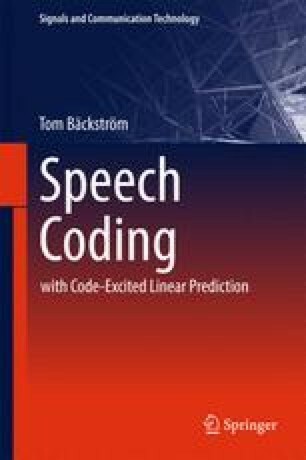 The following chapter details the underlying thoughts, design criteria, perceptual trade-offs and signal processing techniques found in contemporary low bit rate audio codecs using audio bandwidth extension.